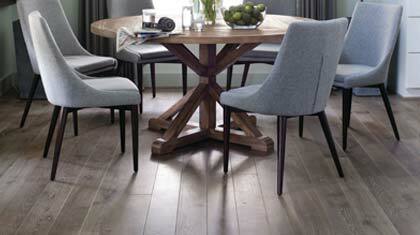 Get more info about the Hardwood Floor Finishing Course. 1920’s bungalow in the Water Hill District of Ann Arbor, Michigan. Bona’s very own Bona Certified Craftsman, Kapalua Floors from Troy, Michigan installed the pre-finished floors using Bona Adhesives. The Grandeur by Greyne wood throughout the home features German white oak in 5" plants with white cerusing underneath Bona DriFast Stain in a warm brown earth-tone protected by Bona’s High Durability Finish. From 10/4/16 – 11/22/16 eligible viewers could enter for a chance to win the home, valued at over $700,000. Watch our BCC hard at work laying the foundation for this beautiful home. 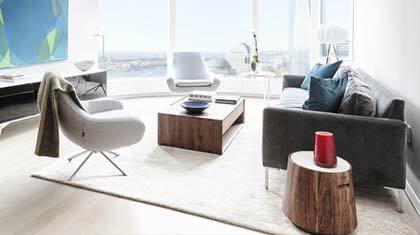 50 West is the NYC Financial District’s most elegant new address. Designed by architect Helmut Jahn, the graceful ascent soars above its surroundings. Its warm, classic interiors are designed and finished by the award winning Thomas Juul-Hansen whom specified a custom Bona DriFast stain to complement the premium esthetic. 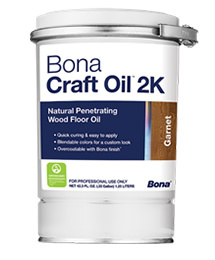 Bona’s very own BCC, Hardwood Floors Unlimited, installed and sanded the white oak flooring and Hardwood Floors Unlimited utilized Bona R850T adhesive to assist with the wide plank flooring. 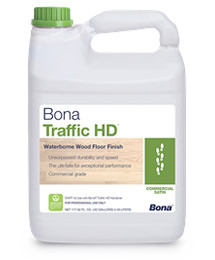 Bona Traffic HD was specified as the top coat to provide durability and beauty. Professionals, certified to use the complete Bona System®.